We supply a range of accountancy services to all types of clients, including small to medium businesses throughout Surrey and the South East... Our accountancy services include: VAT, Self Assessment Assistance, Taxation Services, Book keeping, Payroll, Company Formations, Limited Company Accounts and more. Providing professional accountancy services to clients in the service industry, building services, manufacturing industry, franchises, charities and general small to medium businesses. Our rates are competitive and our quality of service is even better. 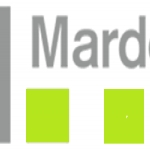 Here at Marden and Co, we understand the concept of client satisfaction. 1. We guarantee all fees will be quoted in advance and agreed by you (there will never be any surprises). Otherwise you pay us NOTHING. 2. We guarantee all deadlines for completed work will be agreed with you and met. Otherwise you pay us NOTHING.